As a result of relatively recent history, almost 17 000 km of borders cross the Sahara-Sahelian areas. Placed in a line, this represents more than 40% of the earth's circumference. While these borders are no obstacle to human mobility, they remain a symbol of strong political and institutional boundaries between Morocco and Algeria, for example, but also between the geopolitical spaces of the Maghreb and Sub-Saharan Africa. 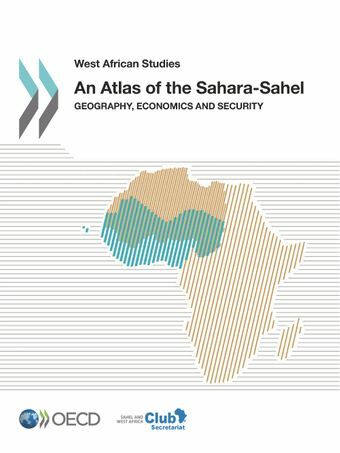 Spatial, social and economic mobility is a key to understanding the dynamics in the Sahara-Sahel. The nature of conflict and instability has changed. Less locally confined and increasingly cross-border in nature, they call for regional and co-ordinated institutional responses. Threats caused by trafficking are as important as that of terrorism. The Sahara-Sahel has a role to play in the stability and development of all countries that share this space. Co-operation between these countries is vital. A part of the solution lies in reactivating circulation and promoting Trans-Saharan trade within a mutually beneficial co-operation in the political, economic and security fields. "The Saharo-Sahelian areas are largely cut off from the rest of Africa, to the south as well as the north. […] The aim of building roads across the Sahara is to finally develop economic co-operation with North Africa, increase trade between complementary economies, and build a common future. This kind of will is necessary to help address the dual challenges of stabilisation and development within the vast desert spaces that we share." "The African Union’s Strategy for the Sahel region focuses on three main pillars: governance, security and development. The Sahara-Sahelian areas concerned raise issues that are very closely tied to both security and development. […] It is important to recognise that inclusion of these three elements in development plans for the region is currently quite low given the institutional isolation of the security aspect." "Co-ordination of the regional and international players working in the Sahel is the key to the success of the different initiatives for this region. That is one of the UN Secretary-General’s key messages." "The Saharo-Sahelian area remains a top priority for Africans in the sub-Saharan and northern regions of the continent, Europeans and international partners more generally. The EU is clearly involved in supporting regional and continental initiatives by collaborating as closely as possible with the United Nations and their Special Envoy for the Sahel." "For many years, the Sahara has remained a blank spot on the map. As this blank spot has been filled with information, the Sahara appears to be empty. However, the Sahara is not empty; it is widely traversed, and rather than insisting on the small size of its population, we should look at the strength of the activity and dynamism that prevails there due to the constant crossings. The Sahara-Sahelian area is an open and animated space. Security and development are best anchored in this vibrancy created by mobility rather than in partitioning and concentrating on a few mining/exploration sites that are directly connected to the outside world. Mobility is a guarantee of integration."